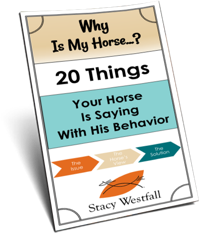 “I have recently thinking about trying freestyle reining. One of my stumbling blocks is the actual choreography of the routine. I know some of my dressage friends hire professional freestyle dressage choreographers. How do you choreograph your routines? Do you do it yourself? Do you hire someone to help?”-Janna L.
I have watched dressage freestyle and can see the benefit of having a professional choreographer. The routines are amazing and for most of the performance the maneuvers they execute are VERY timed with the music. In general the reining freestyles are not as precisely timed to the music. The reiners also tend to pick popular songs and dress to fit the music, often ‘acting’ out their interpretation of the song. Dressage riders are more likely to mix and create the music…but skip the costume. I choreograph my own freestyles. All of the reiners I have talked to, as well as several of my friends, have choreographed their own with input and suggestions from friends. I don’t know any professional freestyle reining choreographers, maybe if reining makes it into the Olympics this will become a profession. Whether the routine is choreographed by a pro or by you, here are some common themes you will see among great freestyle. the tempo of the song must match the horse– in dressage they match the music precisely to the step. In reining keep in mind that a horse with short strides will probably look out of time if the music is long and flowing. strong maneuvers win-you are still being judged by the maneuvers you perform-keep them clean and precise. Something may sound fun to do but if it compromises the quality of the maneuver the judge will notice. Plan how to keep the maneuvers clean and add something special as well. 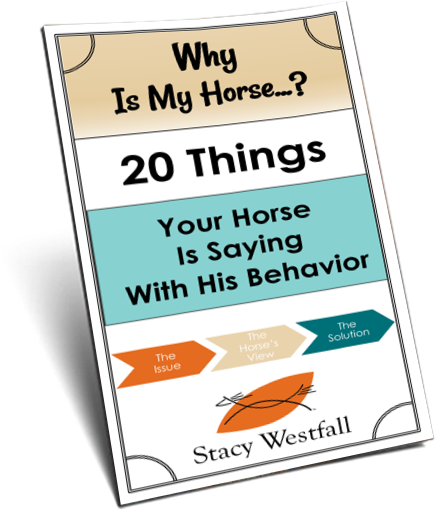 don’t over ride your horse-when the music is loud and the crowd is excited you will be able to feel the energy in the air-it will be tempting to ask your horse to go faster and try harder which can lead to over riding. An example of over-riding in reining would be asking a horse that can do a solid set of spins to go even faster, this often results in the spins getting worse instead of better, which is the definition of over-riding. Keep in mind that this is your first freestyle, winning doesn’t have to be your main goal. Sure, winning is nice but remember to make it a learning experience for both you and your horse. Enjoy the excitement and have fun! Watch how the music and the horses movement are so well timed. This is an example of a reining pattern ‘acting’ out the song. The first time I went to Oklahoma City, Oklahoma and watched freestyle Randy Paul won with this routine. I love his addition of the handlebars…lol. That is one well trained pony! ← Video: How we plan on living on the road; husband, wife, three kids and four horses. Technically, in the spirit of classical dressage, there are “correct” tempos for each gait, and you are meant to choose music that fits that tempo and train your horse accordingly, but you are correct that nowadays most people choose music that “suits” the horse instead. I’m wondering what steps I can take to get started writing, arranging, and editing music for freestyle riders. Also, can anyone recommend sites that may have a good selection of videos that I could use to practice scoring until I can film events myself? Many thanks! Awesome! I missed the reining freestyle when I went to Arabian nationals in 2002, but I heard someone there did much the same thing. Pretty sure they won too!